(CNN) -- More than 300 people on a Royal Caribbean cruise ship have become ill during a voyage, the Centers for Disease Control said on its website. 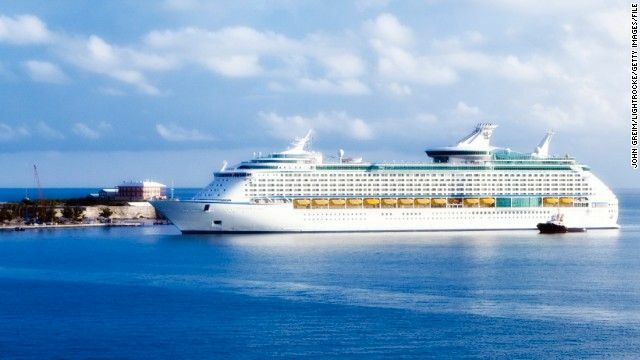 In a statement to CNN, Royal Caribbean International said those who fell sick have responded well to over-the-counter medication being administered on board the ship. Janet Diaz, spokesperson for Royal Caribbean International, told CNN that the ship skipped a planned stop in Haiti on Saturday and sailed directly to San Juan, Puerto Rico, where it underwent an extensive sanitizing. Diaz told CNN the use of special cleaning products designed to kill norovirus will continue to be used throughout the voyage. All responses are being coordinated closely with the CDC, she said.